It is well known that chronic heavy drinking will eventually wreak havoc on the body. Specifically, most people are aware that untreated alcoholism ultimately leads to serious liver disease and failure. Other known health risks associated with alcoholism include pancreatitis, heart disease, dementia and brain damage, some cancers, and gastrointestinal conditions. 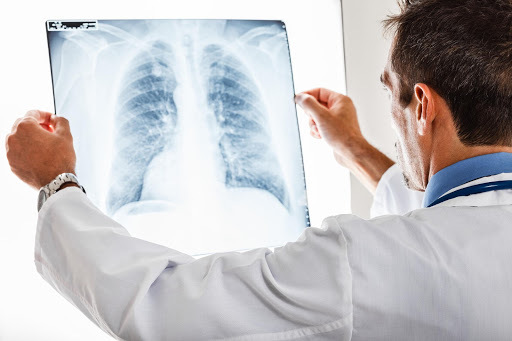 One serious health concern related to alcoholism that is not so well known is the increased risk of developing pneumonia. A study conducted in Denmark discovered that men who consumed more than 35 alcoholic drinks per week were much more likely to contract lung infection, or pneumonia, than men who abstained from alcohol, and once they did have pneumonia their mortality rate was 64.5% versus a 20% mortality rate among patients without an alcohol use disorder. Apparently, there is a correlation between chronic alcoholism and pneumonia. An interesting bit of data revealed that women who were regular drinkers did not differ in their risk of pneumonia from women who did not drink. The mortality rate between the groups was no different. For some reason the increased risk of lung infection was only seen in alcoholic men, not women. How Much is Too Much Alcohol Intake? Heavy drinking. Excessive drinking is defined as women drinking 8 or more drinks per week and men having 15 or more drinks per week. Many people are simply unable to rein in their problem drinking, even though they may sincerely desire to stop. The grip of alcoholism is extremely powerful, both on a physical and psychological level. For this reason, getting professional help is the only effective means of overcoming an alcohol addiction. Beginning with a medical detox, the individual will proceed through a 5-7 day period of detoxification where the body will purge the toxins from the bloodstream and bodily tissues. Withdrawal symptoms are often harsh, but these can be treated during the medical detox program. After detox is successfully completed, an integrated treatment protocol will help the individual change their self-destructive reflexive habits and thought-behavior patterns. Also, any underlying emotional issues that might be driving the alcohol abuse will be examined and processed so true healing can begin. Group therapy and 12-step recovery groups offer the peer support that is so important in recovery. In addition, holistic activities, such as mindfulness meditation, yoga, and art therapy help individuals further explore their emotions while in treatment. Capo By the Sea is a full service luxury addiction recovery program located in Orange County, California. Nestled in a quiet beach community, Capo By the Sea offers premium accommodations and a wide array of services in addition to the highest standard of addiction recovery treatment modalities available. If you are concerned about chronic alcoholism and pneumonia or any other serious health risk, please get the help you need. Call Capo By the Sea today at 888-529-2114.